When we think about climate change, we usually conjure up images of relatively slow change: ice melting or Earth’s temperature rising. We forget climate change is also increasing the frequency and intensity of extreme natural events such as hurricanes, droughts, floods, and forest fires. Flooding in North Carolina and drought in California are just some examples, which remind us there is more to climate change than rising average temperatures. It means more disasters. The formula for natural disasters is simple: it is the sum effect of a hazard plus community vulnerability. Climate change affects both parts of the sum. Extreme natural events are hazards. While some natural events occur as part of normal cycles, others are extreme! They would have been very unlikely, if not impossible, without the influence of climate change. As these events gear up in intensity and frequency, disasters will also occur more frequently. Climate change also affects to the second part of the sum: community vulnerability. The slow changes in our climate uniquely impact each region. Decreased food availability, a spread of illnesses, and increased energy costs are just some possible effects. Weakened communities are more vulnerable to all hazardous events, including bursts of extreme weather. As climate change gains strength, by end of 2015 the average number of people affected each year is predicted to reach 375 million. GHGs increase the risk of disasters. Greenhouse gas emissions are the primary driver of climate change. They are already changing our climate. Authorities agree that the Earth’s landscape is being reshaped by a variety of influences, including the cascading effects of greenhouse gas emissions to support human activities. The more GHGs released into the atmosphere, the more chances weather will have to show its unpleasant side. While there is still a lot of uncertainty in the scientific details, we must take action today. If we decide to wait, we may squander the chance to develop communities, which if not necessarily sustainable, will at least be less volatile. While we have seen a lot of progress on the Road to Paris, the truth is that effectively, global governance is weak and the science of climate change is too broad to force policy makers to create quick, sweeping changes. So, what are our defenses? Even as individuals, there is a lot we can do. Have a family disaster plan and be prepared to execute it. Plus, know your community plan. 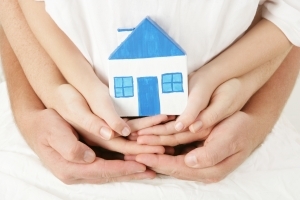 FEMA provides resources that help create a strategy for the whole family. Support sustainable community projects that help adapt to climate change. This includes sustainable community gardens, a sustainable community business, or a nature group. In addition to small personal projects, you can help by funding large projects through TerraPass. Our projects are located across the US, so they have a double benefit – of helping the environment and supporting the local economy. To find out how you can support TerraPass projects, click here. Lead a carbon-balanced, eco-friendly lifestyle. Take action to reduce your GHG emissions and other environmentally negative activities in your life. Reducing your carbon footprint can limit the magnitude or rate of climate change. You can’t manage what you don’t measure, so start by calculating your carbon footprint on the TerraPass website. Find great tips to minimize your footprint in our blogs. Offset what remains with TerraPass carbon offsets. Install a source of alternative and renewable energy on your home. For example, install rooftop solar panels. This will reduce your carbon footprint and provide back up if the power grid is down. You can also support larger renewable energy projects in the USA with TerraPass. Find out more, here. Grow a garden or some trees. This will help protect your soil, increase water reserves for your plants reserves in the time of drought, and reduce the carbon emissions of your diet. Have a water reuse and recovery system. It can be as simple as having a rainwater catching bucket outdoors or as sophisticated as recovering grey water from your sink for your outdoor use. This kind of a system can be an additional resource in the time of drought. To support water sustainability projects and help reduce drought, consider investing in BEF Water Restoration Certificates®. How are you helping build community resilience and preparedness? Share your thoughts on our Facebook page. Follow us on Twitter and Pinterest for more sustainability tips. Visit our website to find out more about your carbon footprint.